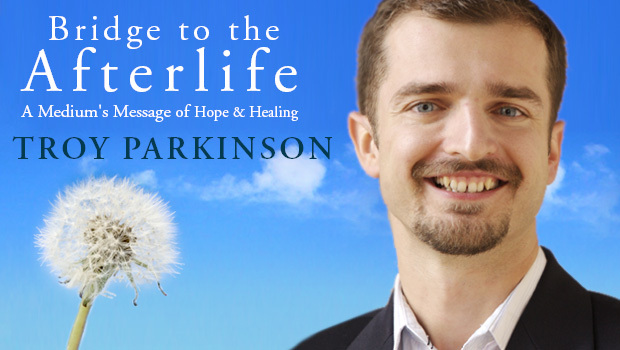 Join Medium and Fargo native, Troy Parkinson, as he offers insights and inspiration on the afterlife from his personal journey and his book Bridge to the Afterlife : A Medium’s Message of Hope & Healing. What is it like to live as a medium? Do you see spirit all the time? How do you develop your own gifts? Troy will answer these questions and more as he provides a down to Earth perspective on spirit and the afterlife. He will even provide a few mini readings to members of the audience he will guide the group through a meditation to connect to their own loved ones in spirit. 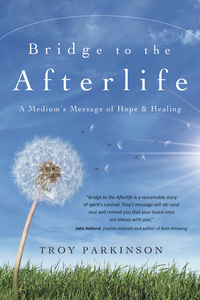 Troy first began his study of the afterlife over 13 years ago. During his early years of development Troy studied at the First Spiritual Temple in Boston, MA. During his time in Boston, Troy participated in numerous public demonstrations of mediumship, he organized the first Boston Mediums Conference, an afternoon gathering of mediums from the greater Boston area and he also produced a short documentary on mediumship called Contacting the Beyond as his senior thesis film. In 2000, he returned to Fargo and began offering development circles, workshops and readings throughout the upper mid-west. In 2009, he and his family moved to St. Paul, MN and his first book “Bridge to the Afterlife: A Medium’s Message of Hope and Healing” was released through Llewellyn Publishing. In addition to his work in the spiritual realm, Troy is a filmmaker with a BA in film production from Emerson College in Boston. He has written/produced/directed projects for Microsoft, Bobcat, Subway, Discovery Health Channel and History Channel.